Today at 7 p.m. EST, NASA is beaming the Beatles song “Across the Universe” toward Polaris, the North Star. Apparently, the moment is the exact time the song was recorded 40 years ago, and meant to be a “cheerier” greeting to aliens than the usual Morse code we routinely transmit into space. This event is also apparently part of NASA’s 50th anniversary celebration. 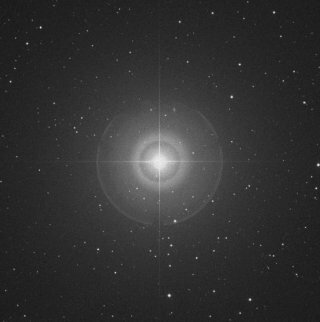 According to the Bad Astronomer, Polaris is far from the best star choice if the objective is to greet distant life forms, but it is one of the few stars that large numbers of humans know by name (outside of the sun). Organizers are encouraging people to listen to the song at the same moment all around the world. There is more information about it here. The event will also be broadcast on NASA TV online. P.S. Declan doesn’t believe me that this is a Martian crater because it isn’t red. That’s wild! And awesome! I had no idea. Wow. The things you learn when your child is obsessed. Emily – True! At least I like the space obsession compared to life if he were consumed by, say, car engines or something. I’d be totally lost. I’m definitely expecting to be left in his mental dust soon enough.